Francisco migrated to Guatemala City several years ago. He worked the night shift, behind the till, at a gas station. It was boring work, far from the bucolic setting of his youth, but he was able to save some money—savings he hoped would lead to a better future for his wife and child back home. Francisco is a star farmer. His return from Guatemala City coincided with the 2012-13 outbreak of coffee leaf rust. However, Francisco was motivated. He joined a CRS project and began to focus on boosting the productivity of the coffee plot he inherited from his family. He launched a farm renovation effort, led the farmer field school which involved hosting the group´s coffee nursery, and facilitated his community´s savings and internal lending community (SILC). His wife also participated in the SILC. She took out loans to start a small store, based out of the family´s home. The family started producing honey in an effort to diversity its income. But coffee was supposed to be the anchor, the centerpiece in the family´s livelihood plan. Recurrent drought, which decreases both coffee and staple crop yields, can contribute to the decision to migrate. 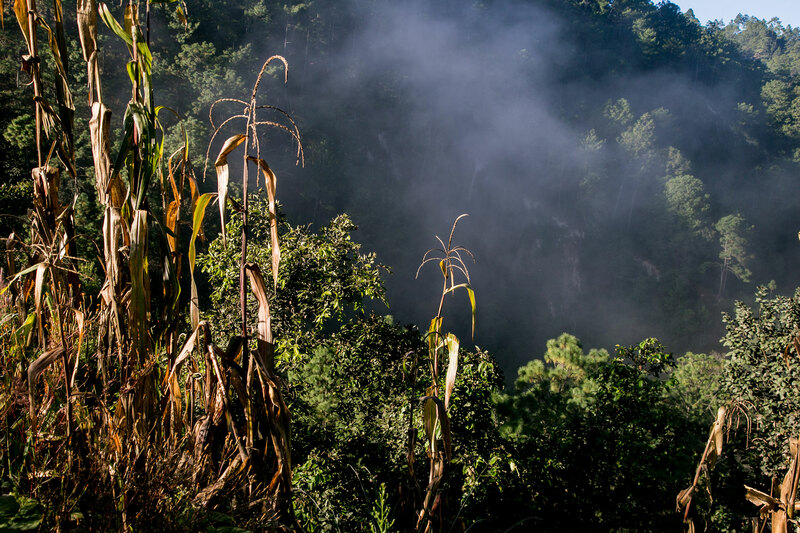 But the cost and accompanying debt necessary for farm renovation, coupled with record-low coffee prices, just as some of those renovated plants were starting to produce, were big blows for Francisco. To make things worse, recurrent drought drastically reduced the yields of corn and beans the family was able to grow on the small plot they rent. Last year, Francisco took the hard decision to migrate with his eldest son (11) to Texas, leaving his wife and two younger children behind. They are currently working two jobs. Francisco hopes to save up enough money to send his younger children to school and then university so that they can avoid the just-getting by struggle Francisco has faced as a coffee farmer. Univision recently covered part of this story on migration in Guatemala. While Francisco’s move is deeply disappointing for our team—given how much hope there was even just a few years ago—his decision is no longer surprising. If you have been following my colleague Paul Hicks´series on the C-price and the coffee market you understand Latin American coffee farmers (large and small) are facing big challenges to the viability of their business model. Market fluctuations and volatility often lead farmers to take hard life decisions they would rather avoid. 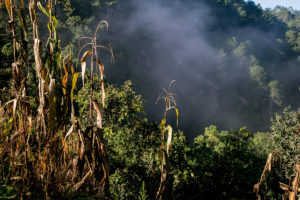 The recent “C-price crisis” is just one challenge during what has been a tough few years for smallholders in Central America (read more on recurrent drought and coffee leaf rust). From my perch as a program manager in Guatemala and Mexico, I will outline in subsequent posts why Francisco´s decision was not surprising, highlighting data we’re analyzing relating to farm profitability. I’ll frame the recurrent challenges of climate change, debt/prices, and the lack of opportunities in rural areas and present some promising solutions or alternative models that bright farmers and entrepreneurs, young and old, are testing as part of their elusive quest for profitability and prosperity. I’ll end the series with some questions which will hopefully lead to the industry, NGOs, and coffee lovers asking ourselves what should we do? What can we do better? And have we gotten to the point where Francisco´s decision really is unsurprising and…dare I say inevitable for the majority of small (and many big) coffee farmers? What are the implications for the coffee sector as a whole, when a smallholder who is bright, energetic, and committed to the trade like Francisco can´t make it work? We are using different names for Francisco and his family in this story.